The osmolarity lab provides a clear, easy technique for identifying and quantifiying cell response to changes in osmotic conditions. 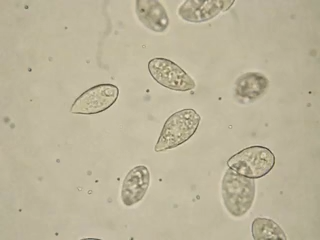 Contractile vacuoles in Tetrahymena are large and visible even with the fairly low quality microscopes generally available in high school biology labs, and changes are readily captured for detailed analysis using the single frame, time lapse, and movie options available with low cost digital cameras. Tetrahymena contractile vacuoles gather and expel water in periodic fashion, with the rhythm and rate of contraction dependent on environmental factors. The lab addresses membrane permeability and osmoregulation in a free-swimming cell under a variety of conditions. The exercise can be varied according to class level, from simply observing changes to collecting and graphing data on rates of contraction under different conditions. 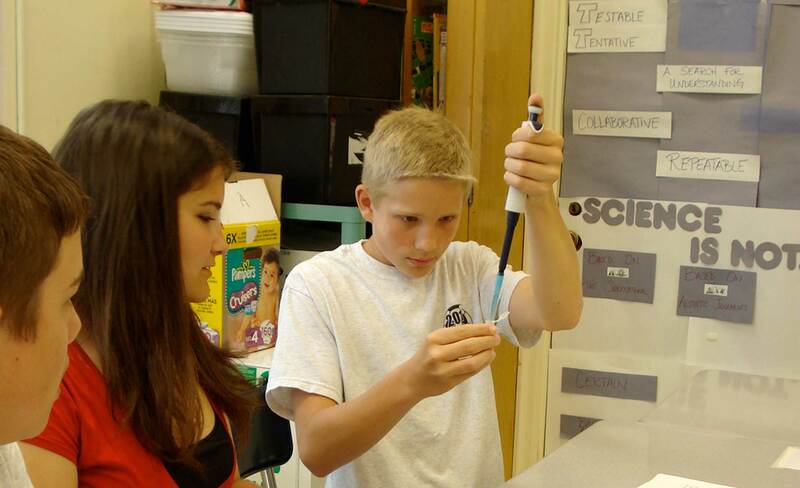 It also invites student-designed experiments that alter the cell environment in specific ways. The contractile vacuole is an organelle that is very important for osmoregulation in many cells, including Tetrahymena. The contractile vacuole helps to control the relative concentration of water and solutes in the cell by collecting water from within the cell (diastole stage) and periodically pumping it out into the environment by a mechanism involving membrane contraction (systole stage). The rhythmic pulsing of the contractile vacuole is easily visible under the light microscope, and the size of the contractile vacuole as well as the rate of contraction can be affected by environmental changes. This clip shows many Tetrahymena cells in which the contractile vacuoles are evident. Following the cells inside the circles will allow you to see complete contractile vacuole cycles in a live cells. Dunham Philip B. 1964. The Adaptation of Tetrahymena to a High NaCl Environment. Biol.Bull. 126 (3):pp. 373-390. Gounaris EG, Bardopoulou H, Kotinis KK. 1990. Biochemical and physiological responses of Tetrahymena pyriformis during adaptation to high glycerol concentrations. Microbiologica 13 (3):239-246. Gounaris EG and Kotinis KK. 1990. Physiological response of Tetrahymena pyriformis during adaptation to elevated external salinity. Microbiologica 13 (1):73-76. Morrison GA and Tomkins AL. 1973. Determination of mean cell size of Tetrahymena in growing cultures. J.Gen.Microbiol. 77 (2):383-392. Orias E, Hamilton EP, Flacks M. 1979. Osmotic shock prevents nuclear exchange and produces whole-genome homozygotes in conjugating Tetrahymena. Science 203 (4381):660-663. Rifkin JL. 1973. The role of the contractile vacuole in the osmoregulation of Tetrahymena pyriformis. J.Protozool. 20 (1):108-114. Stoner LC and Dunham PB. 1970. Regulation of cellular osmolarity and volume in Tetrahymena. J.Exp.Biol. 53 (2):391-399.